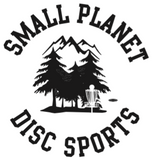 The world standard for the sport of Ultimate, and the exclusive official disc of the USA Ultimate Championship Series since 1991. With its contoured grip and aerodynamic engineering, the Ultra-Star has set the standard for quality, consistency and performance. The UV (Chameleon) Ultra-Star is White when in indoor light, then changes to bright Purple when exposed to sunlight.